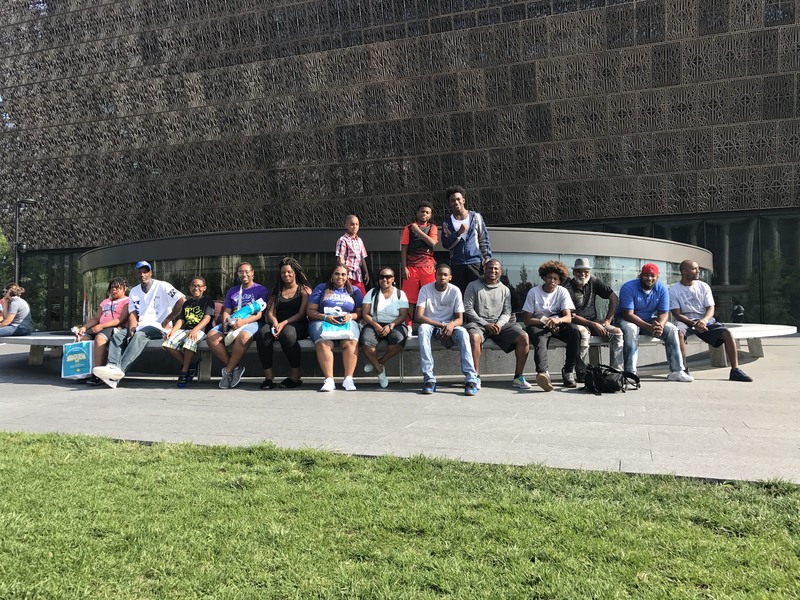 On August 9th 2017, 103.7 The Beat collectively took 10 children from Red’s Youth Center and the Fresh Start program, on an all expenses paid trip to Washington D.C. to visit the Smithsonian National Museum of African American Culture and History. It was here, the children were immersed into a plethora of knowledge of African American artifacts, pictures, and interactive displays. The children had the opportunity to explore the museum by going back in time to the start of African American history, and made their way through time to see the history African Americans are making as of today. The journey included everything from the Atlantic Trade Ships, to the birth of Hip Hop, and Muhammad Ali. 103.7 The Beat would like to thank the parents, chaperones, Ericka Bell from Red’s Youth Center, Chauncy Williams from 103.7 the Beats What Do I Do Now, Fresh Start, and Young Brothers, and everyone who helped make this trip a complete success.